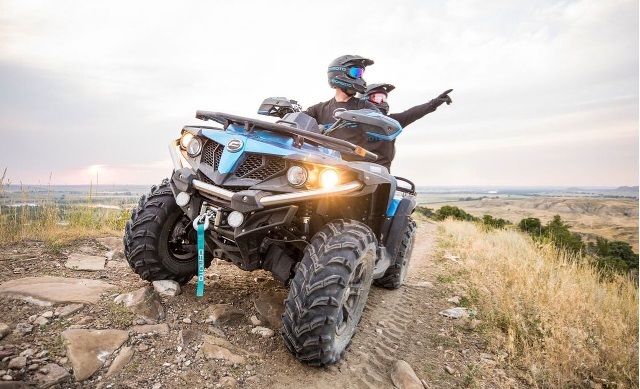 CFMoto Australia is pleased to announce the release of the new X600 EPS ATV. A new middleweight dual seat ATV that has more features than you can poke a stick at. “We are excited to release the new X600 EPS in to the Aussie market. A model with a large standard feature list that nicely fills the gap in our ATV range,” says CFMoto Australia Director Michael Poynton. Now with a bigger and more refined 600cc engine the new long wheel base quad packs some punch. Managed by new Bosch EFI for smooth reliable power delivery and plenty more in reserve for when you need it most. Further enhancements have been made to the intake to increase airflow and a new exhaust system to gain 5% more power over its predecessor. Off road the X600 EPS gets both a front and rear locking differential. The advantage of a rear locking differential is that you are able to lock both the rear wheels. Now both wheels are turning at the same rate to help maintain forward momentum in difficult terrain. When not engage the rear wheels are able to turn at different speeds to reduce tearing up the ground (turf mode) and increase the vehicles manoeuvrability. All 4 wheel hydraulic disc brakes for safer stopping power, new 12-inch alloy wheels and new aggressive CFMoto styling top the list of updates. Standard features include electronic power steering (EPS), selectable 2WD / 4WD drive modes with a front diff lock, Canadian CVTech transmission with high and low range, 25 inch CST tyres, heavy duty winch, tow package and a modern lights package to round out the fully loaded feature list. The X600 EPS available now for $9,490 ride away and comes in two colour choices, orange or camo (camouflage). Backed by CFMoto’s 2 year factory warranty and supported by a national dealer network you can rely on. 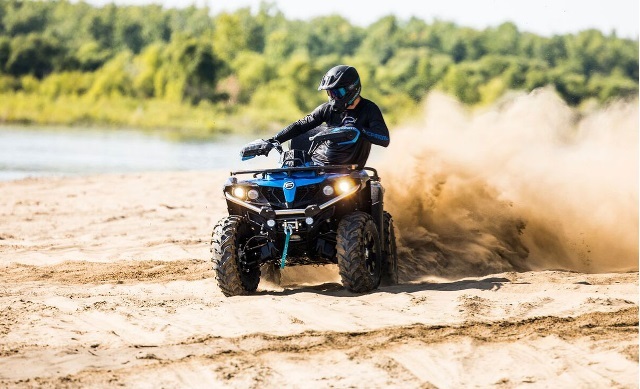 “Now customers have a choice of two dual seat ATV’s, the X600 EPS or the X850 EPS. Both packed with features and offer unbeatable CFMoto value,” says Poynton. To find out more on the new CFMoto X600 EPS please get in touch with your local dealer or head to the CFMoto website.